Stuart Goldman, The Baddest Dude In The World, Hustler Magazine, March 1979. ↑ Colvin, Richard (1993-11-28). "'Jet' Fighter's Final Mission : Kick-Boxing Legend Urquidez Driven in Comeback Bid". Los Angeles Times. สืบค้นเมื่อ 2010-12-21. ↑ "Kick Boxer Benny the Jet, at 41, Readies for Bout With World Champion". Los Angeles Times. 1993-11-30. สืบค้นเมื่อ 2010-12-21. ↑ Henson, Steve (1985-08-17). "The Jet: Born to Brawl, Benny Urquidez Lived Through a Death Match to Become One of the Greatest Unknown Fighters in America". Los Angeles Times. สืบค้นเมื่อ 2010-12-21. ↑ Colvin, Richard (1993-11-28). "'Jet' Fighter's Final Mission: Kick-Boxing Legend Urquidez Driven in Comeback Bid". Los Angeles Times. สืบค้นเมื่อ 2010-12-21. ↑ Weiner, Don (1993-12-05). "Urquidez Jets Way to Victory, Netting 6th Kickboxing Crown". Los Angeles Times. สืบค้นเมื่อ 2010-12-21. 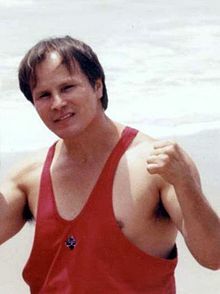 ↑ "BENNY 'THE JET' URQUIDEZ". S.T.A.R. สืบค้นเมื่อ 2011-07-24. ↑ "Black Belt Hall of Fame". Black Belt Magazine. Archived from the original on 2009-03-09. สืบค้นเมื่อ 2010-02-05. Urquidez biography from the Paradise Warrior Retreat Center. หน้านี้แก้ไขล่าสุดเมื่อวันที่ 29 ตุลาคม 2560 เวลา 23:19 น.